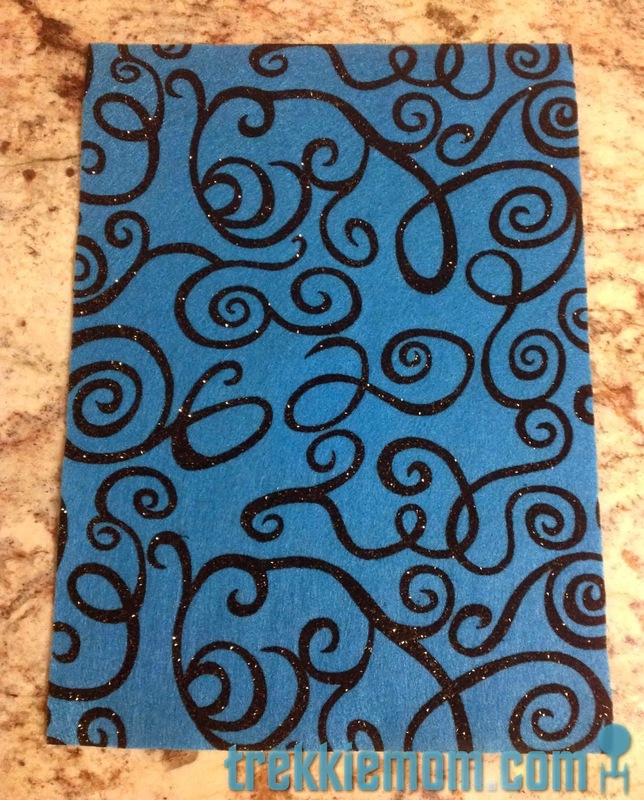 To my astonishment I found some really lovely felt (white and blue) with a beautiful curly, swirly, glittery design already on it, which meant the felt really didn't need any further decoration. Score! 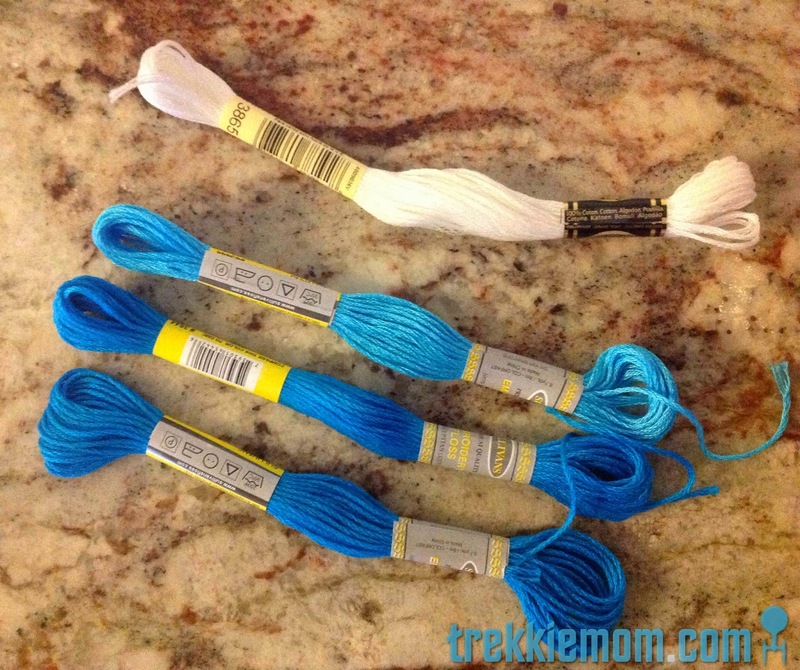 I picked out a few different colors of floss. 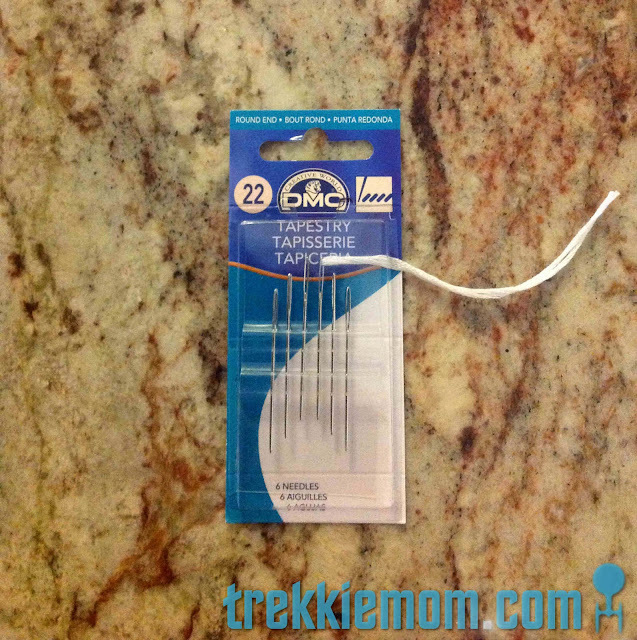 I found some tapestry needles that were not too big or too small, something that wouldn't be sharp enough to prick the finger but pointy enough to get through the felt. 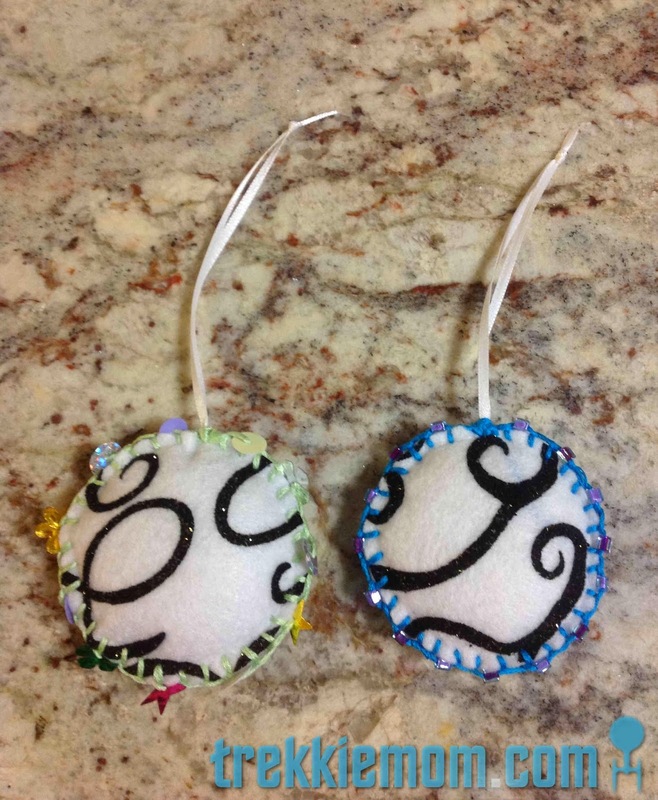 I also wanted them to be small enough to pass through moderately small beads for embellishment if desired. Now, we are ready to begin. Find something round, like a spice jar and a pen of some sort (I used a fine point sharpy.). 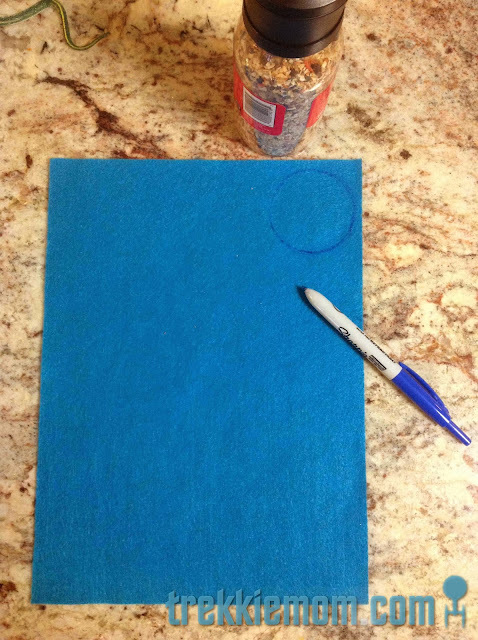 And keep going until you fill up 2 sheets or so, depending on how many kids you have. For me, it was one for me and one for my 6-year-old, as my 2-year-old isn't ready for scissors. Find 2 cut circles that are similar enough. 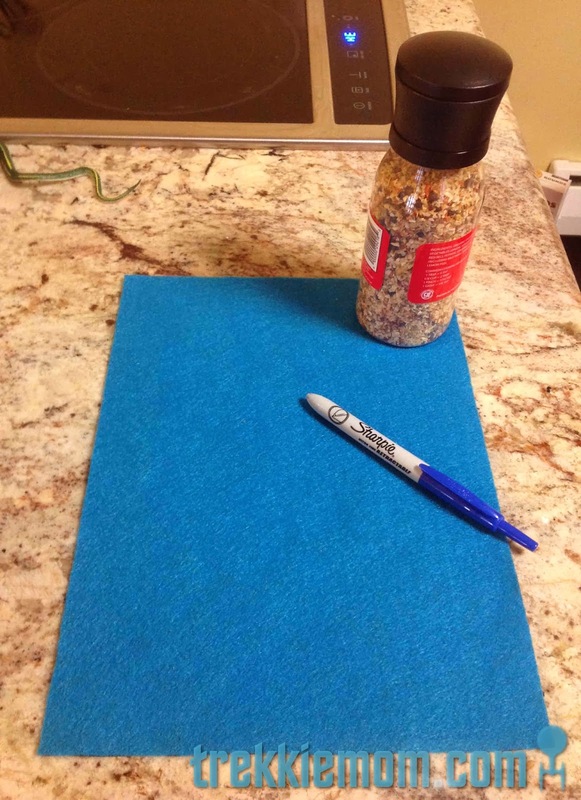 Sew edges together, and when they are almost sewn closed, add your stuffing - bought or cloth scraps. I bought a $5 dollar bag of stuffing from Walmart, that will likely take years to diminish. 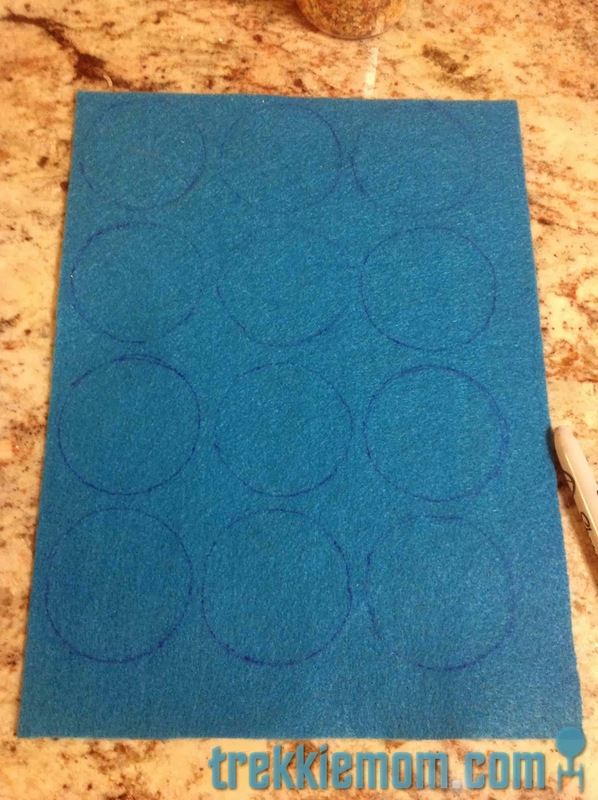 Now, my son's circles had a lot more character than mine, and so did his sewing, by which I mean, they were a lot more irregular, BUT I want to stress, he was free to make good mistakes - mistakes that I can't allow myself to make. I think his ornaments are beautiful - sometimes more beautiful than mine because he isn't concerned with conformity and uniformity like I am. Check out the comparison. I was so inspired by his accidental teardrop shape that I purposefully made my own. I love him. He constantly amazes me with his creativity and elan. He is perfect. I try very hard not to criticize and to emphasize that everyone done things just a little different, because I don't want him to lose this individual spirit. 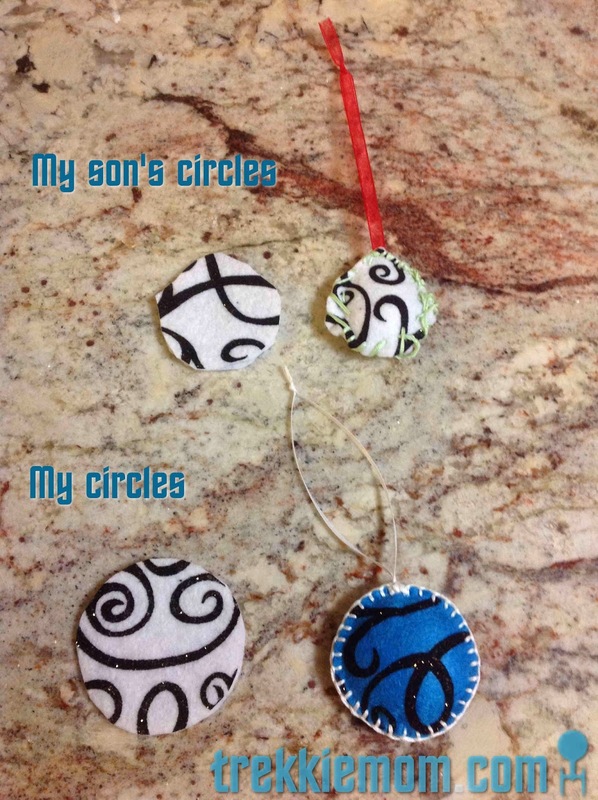 Here is my circular and teardrop shape ornaments below. These are mine, but I am not sure that they are any more beautiful. Another thing that makes my 6-year-old's ornaments more beautiful is that his stitches are not as uniform as mine. Being the OCD person that I am, I cannot settle for anything that is less than perfect, but I really value his difference. I love it! 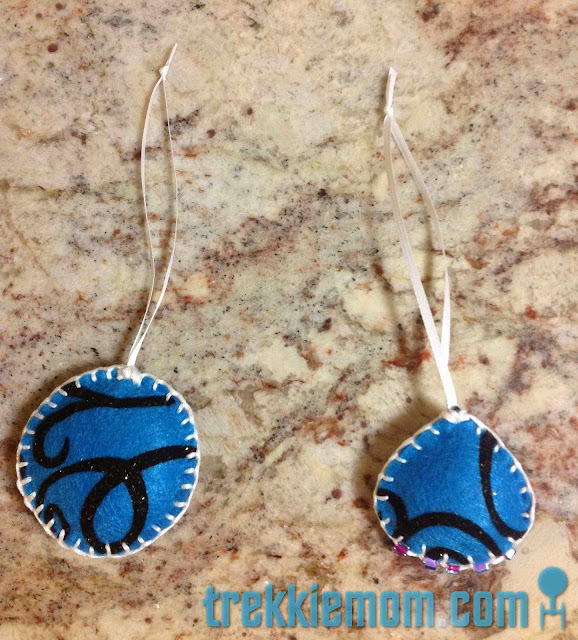 As I did with my teardrop shape, I added embellishments to the below ornaments. You and your children can do so many things with a little felt, floss, and some ribbon. The best part about these ornaments is that that are not very breakable - perfect for the bottom half of the tree, and they look fabulous too! Merry Christmas! Happy Holidays! Or whatever! Enjoy. Cam, love you guys! Always thinking of you and yours. Sadly, we have had a ton of random fevers/illnesses that have swept through the fam lately, which has severely altered my Christmas crafty plans. :( Thankfully, I have scaled things down, but right now, everything is still just late. Hopefully, all fevers will be gone by Christmas! Expect an after Christmas Christmas package.